John Patrick Hart retired from government work after forty years of service as a photographic scientist. Pat was involved with photography in the U.S. space program, including space and lunar photography and film. In retirement, he has developed his talent as a writer and blogger. Regeneration After Addiction is a blog with a world wide audience. 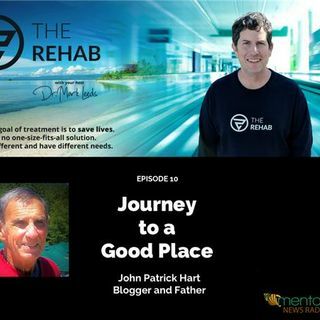 Pat writes about his experiences in healing and regenerating throughout the process of addiction and recovery, both for his son in recovery and for ... See More himself. In addition to having a son in recovery, Pat has also lost a son to the disease of addiction. One of the most important messages we can take away from this podcast episode: we should tell the addicts in our lives that we love them. We should do this every chance we get. Nar-Anon is an organization for the loved ones of addicts. Pat is an active member. Through his involvement, he has met many new and interesting friends. Their common interests go beyond the topics of addiction. Just as a support system of recovering friends is important for the recovering addict, it is also important for their loved ones to develop a support system. Through Nar-Anon, family members can make new friends and find a new way of life on their journey to a good place. Thank you for listening! If you enjoyed this episode, please let me know. You can reach me on the contact page of my website here: https://drleeds.com.